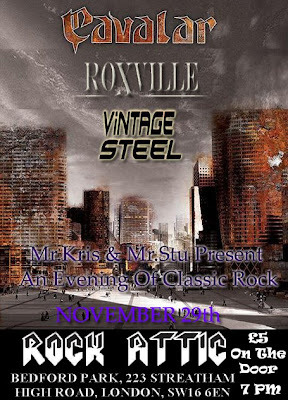 Vintage Steel will make their debut supporting the excellent Cavalar. King Lizard play their biggest show this year to promote their upcoming ep.Support comes from a reformed "For one night only" Love & Bullets featuring Lakis from Nemhain. 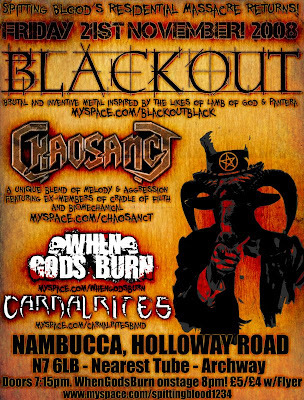 The mighty Chaosanct will bring their blend of melody and death metal to the nambucca,if you are lucky they may have their ep 'I Of Goliath' ready for sale. 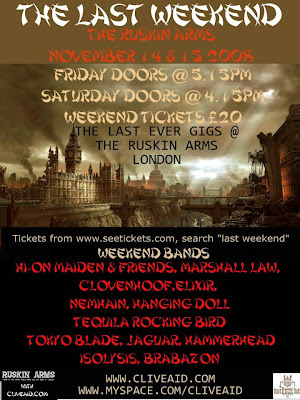 Sad times as Nemhain play the last ever gig at the Ruskin Arms,but dont expect Iron Maiden to show up ! 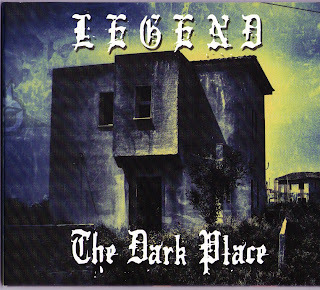 Nemhain should be on late afternoon,and will make history by being the last female fronted band to play there.